As many in comics would have told you over the last few years, if there’s one place where comics can definitely grow, it’s with younger readers. It seems that DC Comics has heard the message, as they’re launching DC Ink and DC Zoom, two new imprints targeted at young adult and middle grade audiences, respectively. But you already knew about the imprints– what’s new is just how big the push for them will be. Today, DC Comics announced that readers of all ages will get a chance to get a sneak peek at Ink and Zoom comics this year at Free Comic Book Day, a huge event for comics shops and libraries everywhere. Taking place on Saturday, May 4th, 2019, Free Comic Book Day will give fans the opportunity to read chapters from two upcoming Ink and Zoom titles. First, there’s Under the Moon: a Catwoman Tale. This comic, written by Lauren Myracle and drawn by Isaac Goodheart, will be DC’s Gold Title on Free Comic Book Day. 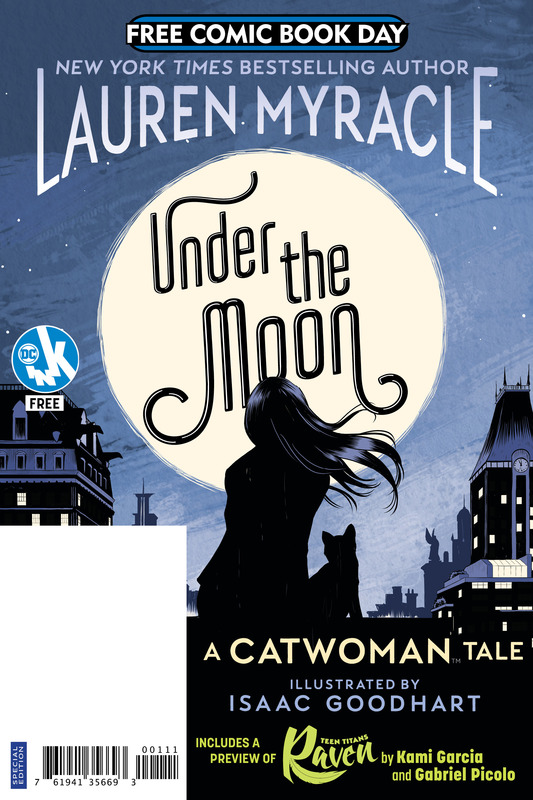 The book follows at fifteen-year-old Selina Kyle whom becomes homeless and “must confront questions of who she is and who she will become.” Additionally, a sneak peek at the DC Ink comic Teen Titans: Raven by Kami Garcia and Gabriel Picolo, will be included with the chapter of Under the Moon. DC’s Silver Free Comic Book will include chapters from Dear Justice League. 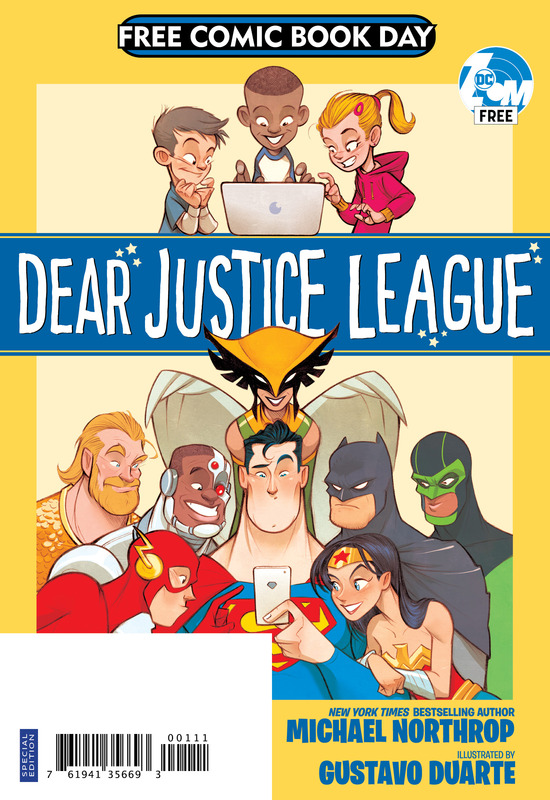 This title comes from DC’s middle grade Zoom line and sees the greatest heroes of the DC Universe answering fan mail from kids. TombQuest writer Michael Northrop and artist Gustavo Duarte will bring this book to life as they show that “being a superhero is not too different from being a kid.” The FCBD sample chapters will feature segments starring Superman and Hawkgirl. Catwoman: Under the Moon will be released in full “everywhere books are sold” on May 7th, 2019. Presumably, that means the release of Ink and Zoom titles won’t be staggered between book stores and comics shops the way that current trade paperbacks and some other graphic novel-sized comics currently are. Teen Titans: Raven will land in stores on July 2nd, 2019. Dear Justice League will follow on August 6th, 2019.